On Thursday, March 1, Elena Alexandratos of Prime Stage Theater and conductor Flavio Chamis will join Holocaust Center director Lauren Bairnsfather to discuss using theater and music to teach about the Holocaust. The training will especially focus on the play The Diary of Anne Frank and the works of Jewish composers whose works were suppressed. There will be an hour break for lunch. Please note that lunch is not provided. 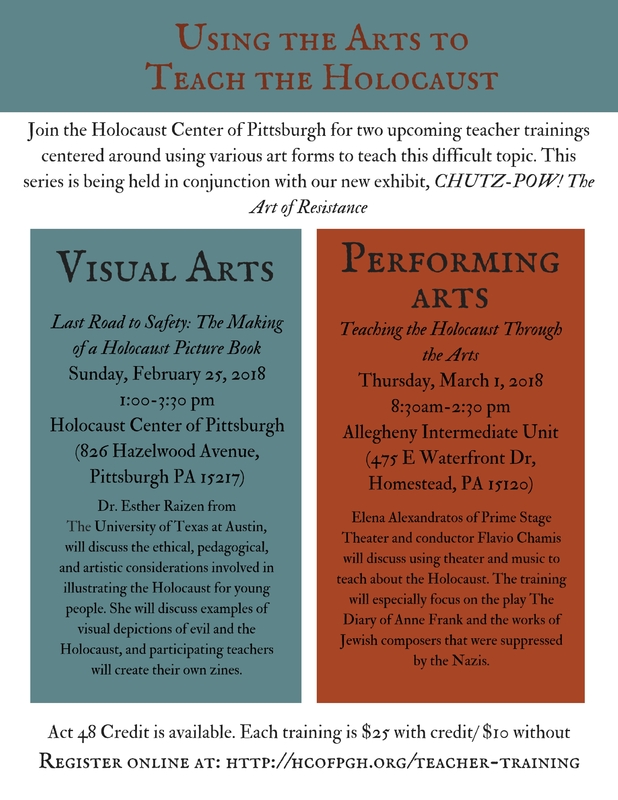 On February 25, we will also be hosting a teacher training on using Visual Arts to teach about the Holocaust in an informed and responsible way. Learn more or register!